Placencia, Belize is the 3rd most popular destination for vacation travel in Belize (#1 being Ambergris Caye, and #2 being the Cayo district in western Belize). Placencia lies along the southeast edge of a 16-mile long peninsula on the southern coastline. The beach runs the entire length of the peninsula, and is composed of granitic sand. This is unusual because all other beaches in the country are composed of coral sands, more typical of the Caribbean Sea. Placencia’s proximity to the Maya Mountains, which are made of granite, is the reason for this phenomenon. By far this stupendous beach is what has made Placencia the popular destination that it is. The village of Placencia, situated on the very tip of this peninsula, has long been a popular place for sport fishermen and has now become one of the primary destinations for tourism in the country, and hosts many of the top resorts in Belize. Many tours operate out of the town, visiting nearby Mayan ruins, nature reserves, and caves. 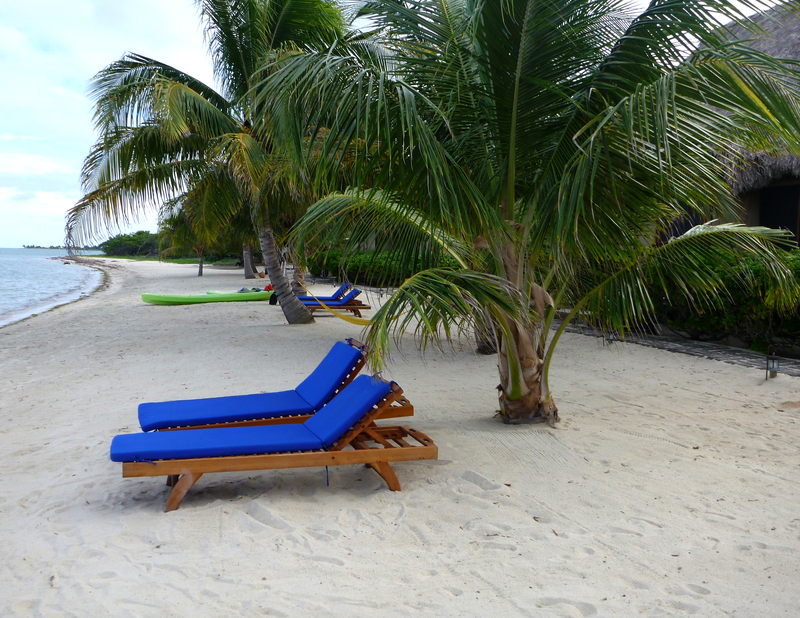 But the primary allure of the village is the fact that it has one of the top beaches in Belize. Placencia also offers access to the many islands lying inside and along the barrier reef, located 25 miles from the coast in this region. 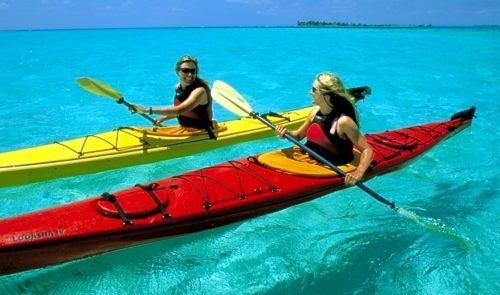 Many water sports are available from the lodges, including Belize sea kayaking, scuba diving, and snorkeling. 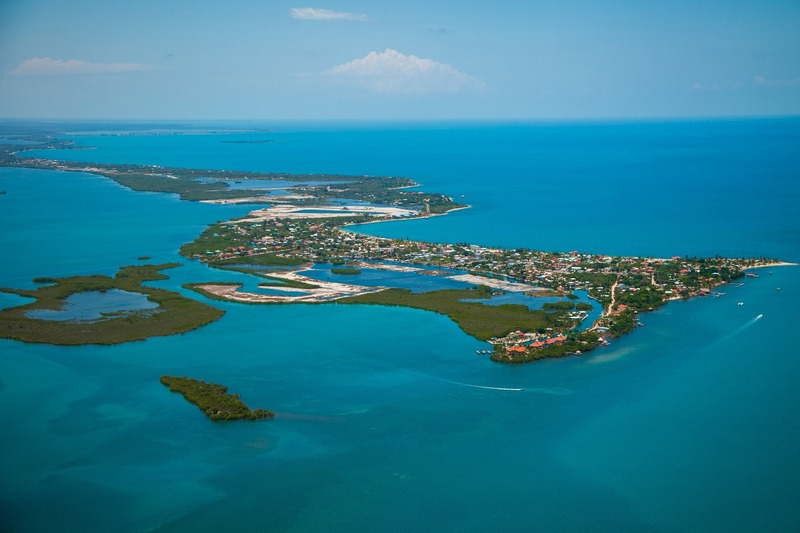 Our Belize island map will show you which islands are accessible from Placencia. If you are looking for more general Belize facts, visit this page on our site. “My trip to Glover’s Atoll in 2006 was more than I ever dreamed it could be. I expected to be at the edge of the world and I was there. I expected to be as close to nature as I could be and it was that. I expected to experience a dream while still awake and I did. But I never expected to fall in love. 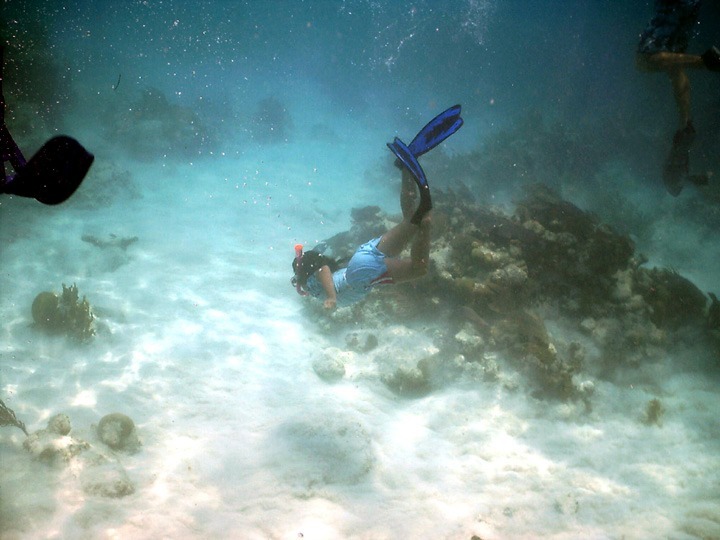 I have heard about Belize for years but I never spoke with anyone that had been there. So, I booked a trip to the edge of the world. The plan was to go to Glover’s for six days and then wander around the country. A week later when it was time to go home, I canceled my return flight for three more days and just traveled. I had also fallen in love with Caye Caulker. Now I am meeting more people that have been to Belize and their eyes just light up when they talk about it. I’m organizing another trip this March; there are at least four people from my company going with me and maybe it will be eight or ten. Next year’s March 2, 2007 Adventure Island trip will be great, full moon. What good is temptation if you don’t submit? We are all going to Glover’s for the Half Week trip because we want to explore afterwards. Placencia, a butterfly farm, jaguar sanctuary, caves, catamaran adventure, there are no wrong choices in Belize. Placencia has experienced phenomenal growth in recent years with many new developments occurring up the peninsula. Large hotels, marinas, and subdivisions have been built. The laid back nature of the village of Placencia has been preserved, although some developments, like the huge new destination resort known as The Placencia Belize, threatens this easy-going atmosphere. Further recent changes are having even more of an impact as Norwegian Cruise Lines developed a cruise ship port on a nearby island. Cruise ships are able to land directly on the island, and cruise ship tourists are shuttled into town for tours and shopping. This huge influx of day tourists (up to 5000 per day) have drastically altered the small town atmosphere of the village. View a Placencia, Belize map. Once in Placencia, if you wish to do some tours further afield, there are two nearby Mayan ruins: Nim Li Punit and Lubaantun. 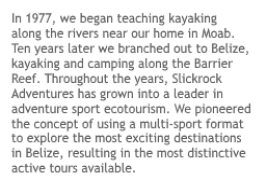 Local tour guides can take you there and provide excellent interpretation. View our Mayan ruins Belize map to get an idea of how far they are from Placencia.